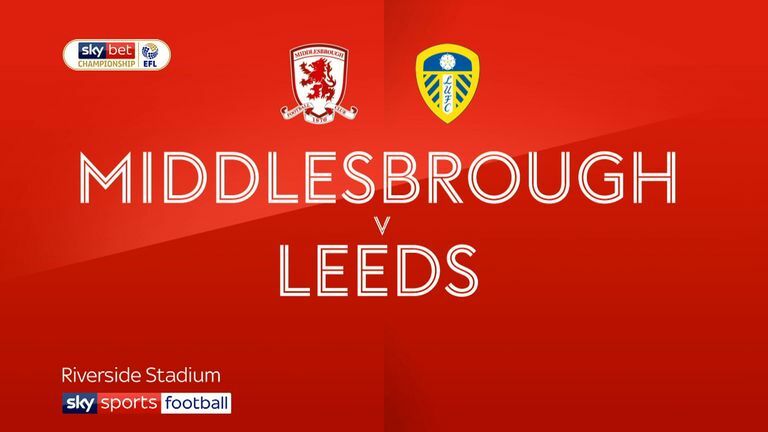 Lewis Wing puts Middlesbrough in front but Leeds hit back with equaliser in 11th minute of stoppage time. Boro looked like climbing to within four points of the top two at the Riverside Stadium courtesy of Lewis Wing's opener less than two minutes after the restart. But then Leeds' perseverance finally paid off when they found a way to break down Middlesbrough's resistance. 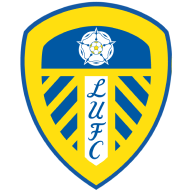 That was the case even though more than 100 minutes of football had to be played because of an interruption in play towards the end of the game when Leeds' Jack Clarke, who had been substituted at half-time, needed medical attention in the dugout area. Leeds knew that avoiding defeat would lift them back to the top of the Championship. But despite plenty of attacking play and movement, Marcelo Bielsa's team were unable to test goalkeeper Darren Randolph before Wing's opener. Once Mateusz Klich had volleyed wide from Kemar Roofe's cross in his direction, it soon became a question of when Middlesbrough could get the breakthrough. There was plenty of pressure on the hosts to deliver a performance and a result because of the midweek defeat to Newport in the FA Cup, when fans accused certain players - without foundation in some cases according to the club - of getting involved in a spat with supporters. But there was no sign of a rift this time as the men in red shirts regularly pressed for the opening goal. Former Chelsea man John Obi Mikel, back in the thick of the midfield again after a midweek rest, got a couple of good moves rolling. One of those ended with the lively George Saville forcing a save out of Kiko Casilla. There were also more clear-cut chances. Aden Flint somehow headed over the crossbar from close range when he met Saville's corner, while Flint also headed a Ryan Shotton cross wide. There had also been an opening for Shotton, after some neat work by George Friend and Saville down the left, before Middlesbrough were eventually rewarded with the opener less than two minutes into the second half. Friend, asked time and again to press forward, picked out Wing on the edge of the area. The former northern league footballer controlled before side-footing a lovely finish inside Casilla's bottom-left corner. Leeds - buoyed by the departure of Wing through injury just after the hour - tried a few different things to get back into it. They had five fantastic chances in the space of two minutes during a huge spell of heavy pressure on the Middlesbrough box. 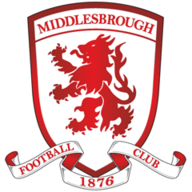 After Daniel Ayala had just done enough to turn Patrick Bamford's effort behind for a corner following a fine Pablo Hernandez pass, Boro were indebted to some excellent goalkeeping and defending. Randolph made two-point blank saves in quick succession to deny Roofe and then, after Pontus Jansson's header clipped the upright, Bamford could only turn the rebound wide when it looked easier to score. Then came the lengthy delay, with Phillips on hand to nod in the equaliser in a crowded box. Marcelo Bielsa: "The opponent was dangerous in the first half but at the end of the first half and the second half was good. We could have won the game.